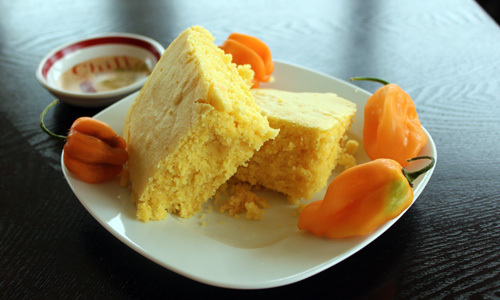 Get your habanero peppers fired up for this cornbread recipe. 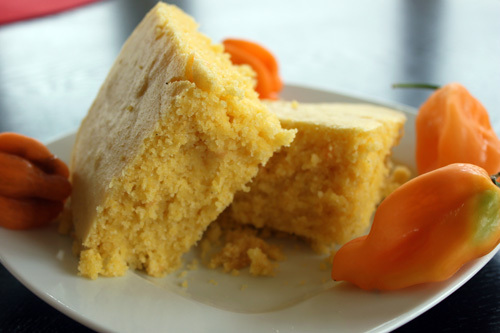 We had a hankering for cornbread so we baked these up for lunch. Nice and spicy. Don't forget the egg or your muffins or cornbread might turn out a bit dry. Top with a delicious jalapeno or habanero jelly of your choice. In a large bowl combine flour, cornmeal, sugar, salt and baking powder and mix. In a separate bowl combine egg, butter, milk and olive oil. Beat. Add habanero peppers and mix.